Slay beasts and collect loot in Finji's rogue-like puzzle strategy, Desktop Dungeons, Full APK of which is downloadable for free on our site. 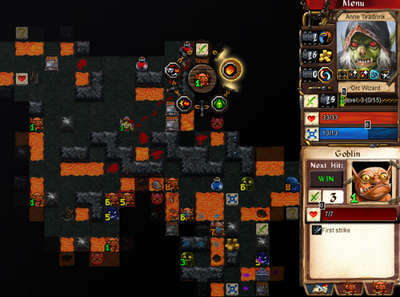 The dungeons are randomly generated, you kill, you loot, you get gold that lets you expand your kingdom. 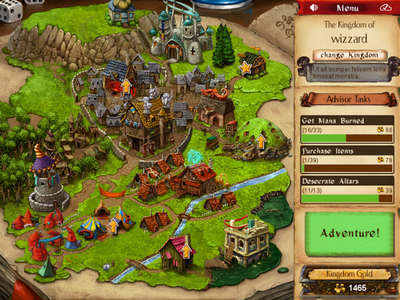 - The Goat Glade no longer disappears in Kingdoms loaded from other platforms. - Fixed bug that could cause stairs to the incorrect realm in the Cursed Oasis. - Fixed bug preventing Daily Dungeon Diligence rewards not being paid out on losses. - Burning damage is no longer applied twice when knocking burning enemies into walls. - Revenants can no longer be moved underneath enemies petrified by the Gorgon. - Half Dragons now kill magic damage immune plants if they knock them back twice. Install Apk, Copy ‘com.QCFDesign.DesktopDungeonsMobile’ folder to sdcard/Android/obb, Launch the Game. Please note Desktop Dungeons only supports tablet screen sizes of 7" and up for ease of use reasons.